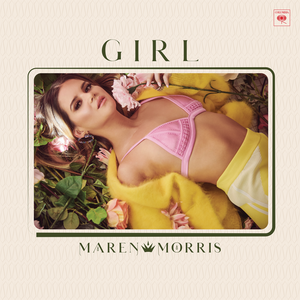 “GIRL”, superstar Maren Morris’ new album, has shattered the record for the largest ever debut streaming week for a country album by a woman, with 23.96 million streams in its first week. The album debuts this week at #4 on the Billboard 200, #1 on the Billboard Top Country Albums chart and continues to receive rave reviews. Watch Morris perform the album’s title track on “The Tonight Show Starring Jimmy Fallon” here, and her performances on “TODAY” here. Morris will appear on “Watch What Happens Live” Tuesday, March 19th. Additionally, to cap off an outstanding release week, Morris took home the 2019 iHeartRadio Music Awards for “Song of the Year” and “Dance Song of the Year” for her massively acclaimed hit “The Middle” with Zedd and Grey. Morris is currently on the North American leg of her “GIRL World Tour” with stops in San Francisco, Los Angeles, Houston, Dallas, Philadelphia, New York and beyond this spring before heading to Europe and Australia. For a complete list of tour dates and more information on Maren, visit her website and follow her on Facebook, Twitter and Instagram.